Social housing architecture in Japan has not changed much over the years, as testified by these buildings in Sangenjaya, to the west of the capital. On the right, these buildings built in the 1970s will be demolished and their inhabitants rehoused in those on the left, which have been completed recently. 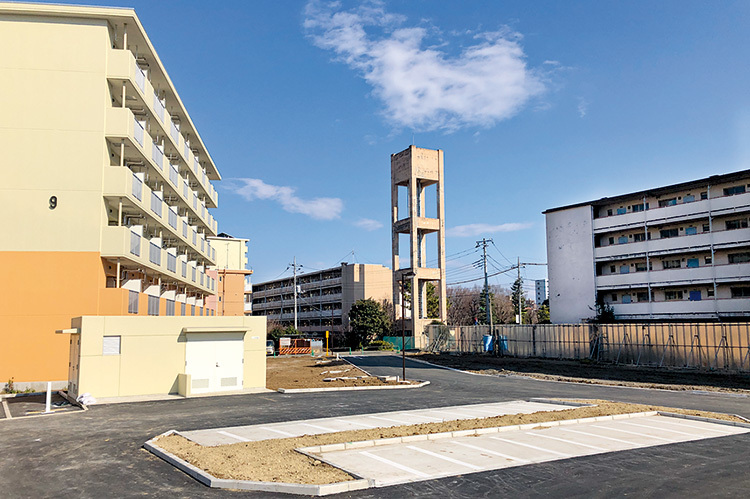 Unlike in the West, where the buildings are often simply renovated, in Japan, they don’t hesitate to rebuild them. On 15 March, after a trial lasting one and a half years, a tribunal in Tokyo handed Frenchman Mark Karpelès a suspended prison sentence of two and a half years. The public prosecutor had called for a ten year prison sentence for the former owner of Mt.Gox, which by 2014, was the largest bitcoin (virtual money) exchange, for breach of trust and embezzlement. JAXA, the Japanese space agency, has decided to team up with Toyota. The manufacturer’s task is to build a self-propelled, pressurised moon rover to be launched in 2029. It will be the size of a small bus. The vehicle will be able to carry up to two people for more than 10,000 kilometres, and will be powered by solar energy and hydrogen.